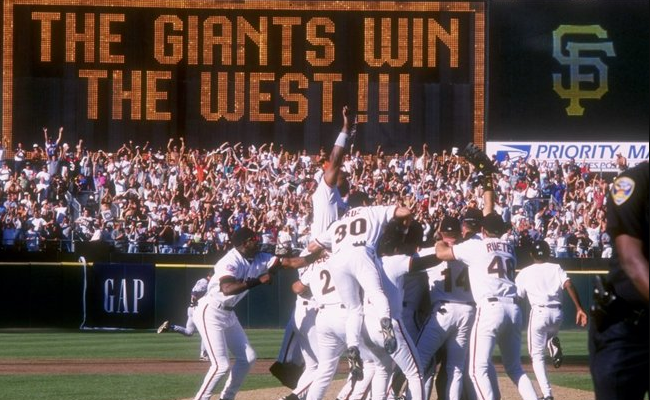 Tonight the Giants honor the 1997 pennant winning team. I happened to be in San Francisco for a legal conference. 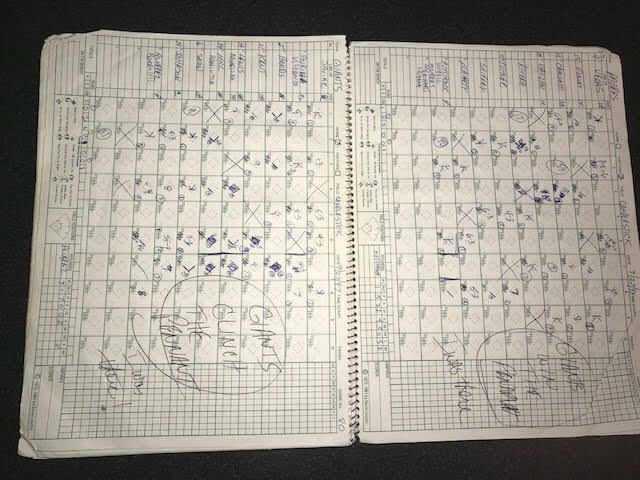 I proceeded to blow off the conference and go to the entire series versus the Padres. The pennant clincher was a Saturday afternoon affair pitched by Wilson Alvarez. I distinctly remember Barry Bonds standing on top of the dugout after the win, to the delight of the crowd. 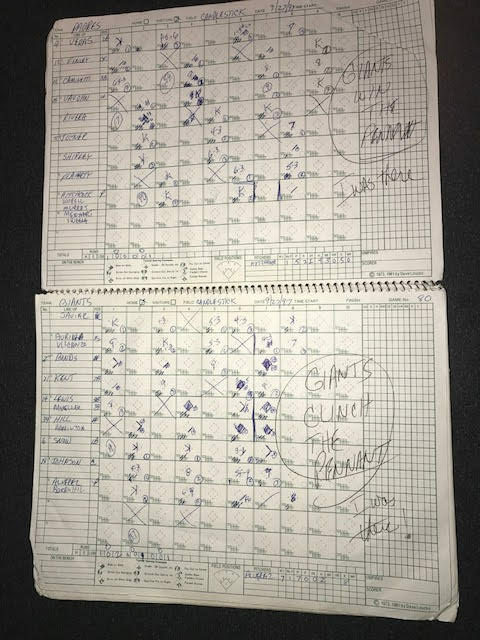 Here is my scorebook from that day almost 20 years ago in honor of tonight’s ceremony.